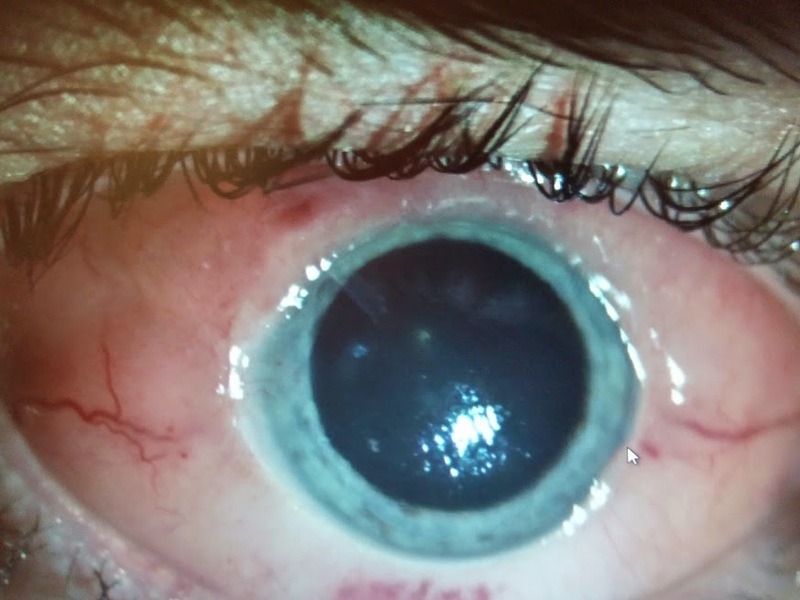 45 year old presented with a boggy conjunctiva (fIg 1) and diplopia. H/O intractable glaucoma in this eye x 2 years for which he was treated with AGV. Pt c/o that ever since he had the AGV , his eye has been getting worse even though the glaucoma itself was well controlled. Because of the unusual appearance of the conjunctiva, we took a biopsy (Fig 2). What is the diagnosis and how do you manage this case? Biopsy specimen showing conjunctival epithelium and underlying stroma infiltrated by small lymphoid cells. Haematoxylin & eosin;Immunostaining showed predominantly B cells with small numbers of T cells. 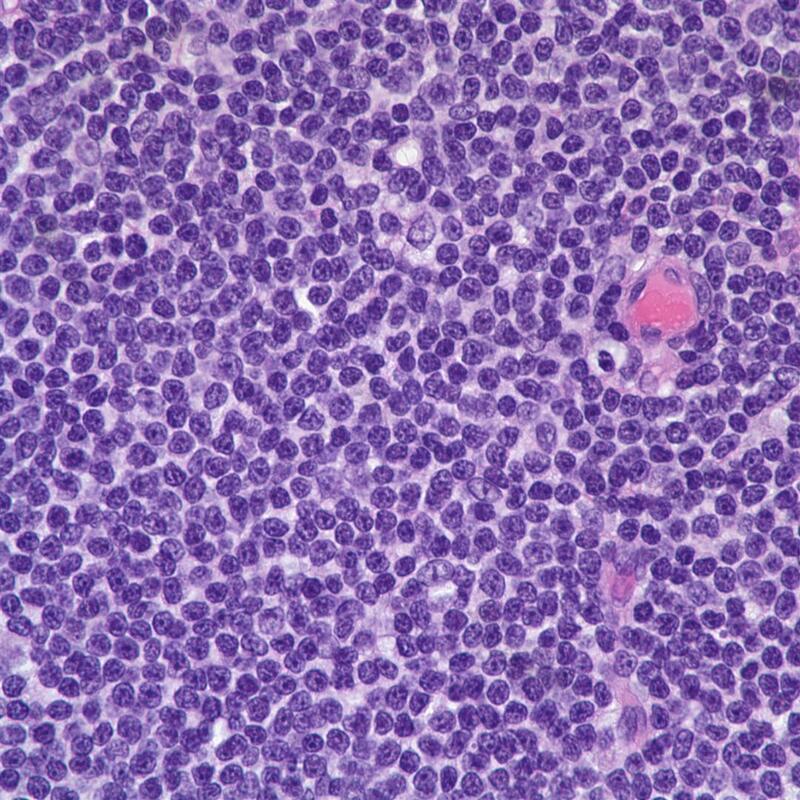 This was consistent with a diagnosis of low grade non-Hodgkin's lymphoma of the MALT type (mucosa-associated lymphoid tissue). Blood tests including bone profile, serum immunoglobulins, marrow biopsy and CT scans of head, neck, chest, abdomen and pelvis confirmed that the disease was localised. MALT was coined in 1980s to describe a characteristic arrangement of lymphoid tissue found in certain mucosal surfaces. Conjunctival MALT usually presents with mild symptoms of redness, irritation and photophobia. Our patient's lymphoma was found restricted to the eye and did very well following radiation.